You will be assured of a tailored and professional experience when you choose ASR Property Services for letting or renting. Based just outside of Walsall town centre, our dedicated, friendly lettings agents will handle your needs if you live in the surrounding West Midlands areas, including Birmingham, Wolverhampton and Willenhall. As a property management company who specialise in property lettings, there are many benefits of working with us. We streamline the lettings process with detailed planning and organisation, combined with a genuine desire to help you. So are you a landlord looking for residential properties to let in the West Midlands? Or are you a tenant looking for a home to rent? Here are the letting services we provide, which can be adapted to your personal requirements. All enquiries and issues relating to letting properties are responded to quickly by our expert team. We only find good quality properties for our clients and pride ourselves on delivering services that are second to none. 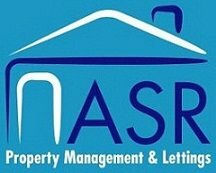 If you would like to enquire about letting or renting a property with ASR, Contact Us by phone, email or enquiry form. We will get back to you shortly.